Routine cleaning of your ears is very important however completing this act of hygiene incorrectly can do more harm than good. Everyday cleaning should be restricted to simply wiping the outer ear with a tissue or washcloth. The rule of thumb, or should we say elbow, is to not put anything into your ear that is smaller than your elbow. This includes Q-tips, pins or any other similar objects because they may injure your ear canal or eardrum. In fact, earwax is the ear’s way of self-cleaning! So although you may think this is unclean, it is very normal and should only be addressed by a doctor if build-up is blocking your hearing. If you have pierced ears there is an extra step to taking care of your ears! Cleaning your earrings and earlobes or any other piercing areas with rubbing alcohol is very important. This will help ensure that infections keep their distance and your ears stay healthy! Loud noises can be very damaging to our ears and therefore our hearing. Whether at home or at work, wearing hearing protection during exposure to loud levels of noise is very important. This noise often comes from mowing the lawn, leaf blowing and using power tools. Ear buds such as the ones that come with a smart phone do no protect your hearing therefore it is important to invest in proper ear protection. In addition to ear protection, it is important to keep volumes from electronics at a comfortable level. Keeping the volume of your music while driving a vehicle is not only safe for your ears but the safety of others on the road. Having your ears routinely checked by your primary care physician or an audiologist will help ensure the best quality of health for your ears. Their ability to answer your questions and address any of your concerns will keep your mind at ease and your health steady! 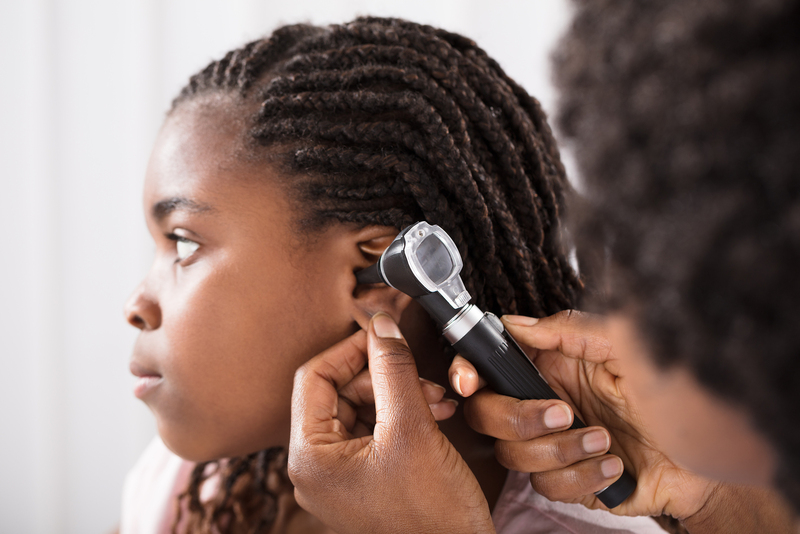 In addition to routine checkups, it is important to see a professional physician immediately after you injure your ears, experience ear pain or notice any changes in your hearing. At Riesberg Institute we care about the health of you and your ears! Whether you need a general checkup or need to address concerns- we can help. Request Riesberg today!